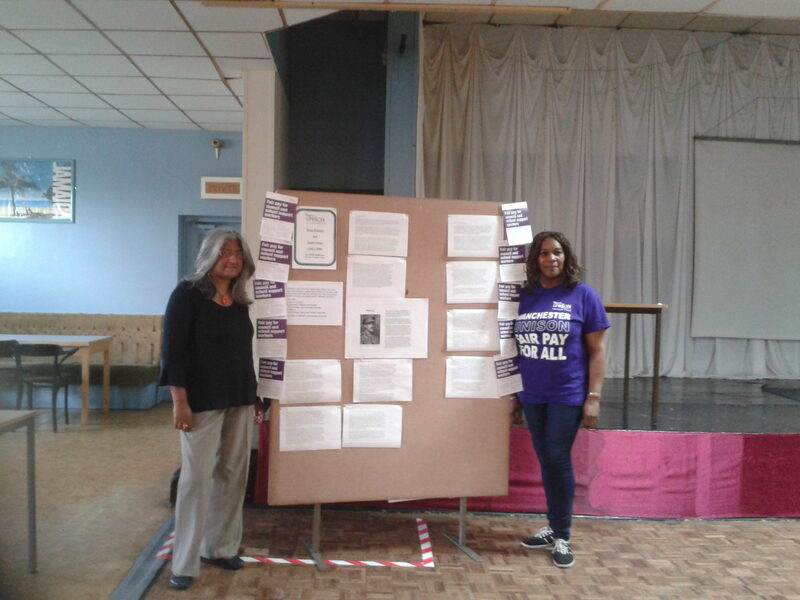 The UNISON Black Members SOG held an event at the West Indian Sports and Social Club (WISSC), in the heart of Moss Side district. 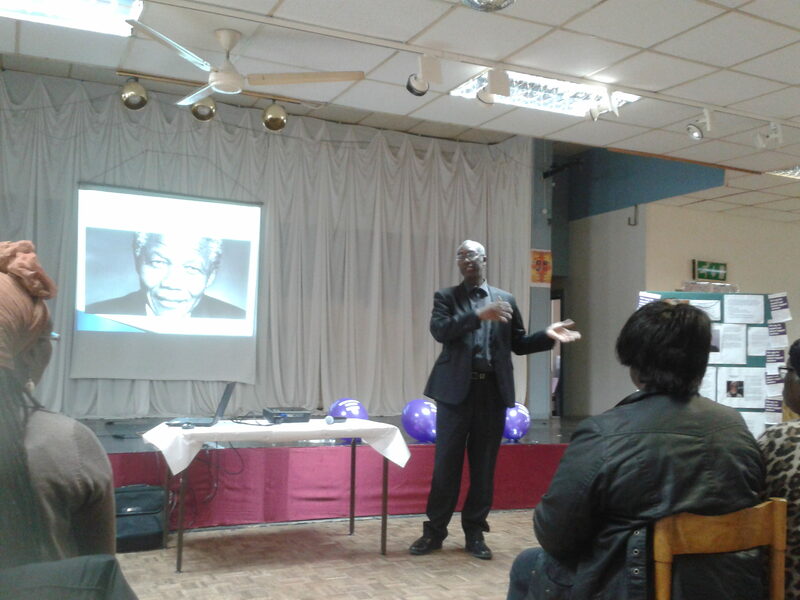 Moss Side is home to very diverse communities, including large West Indian and Somali communities. 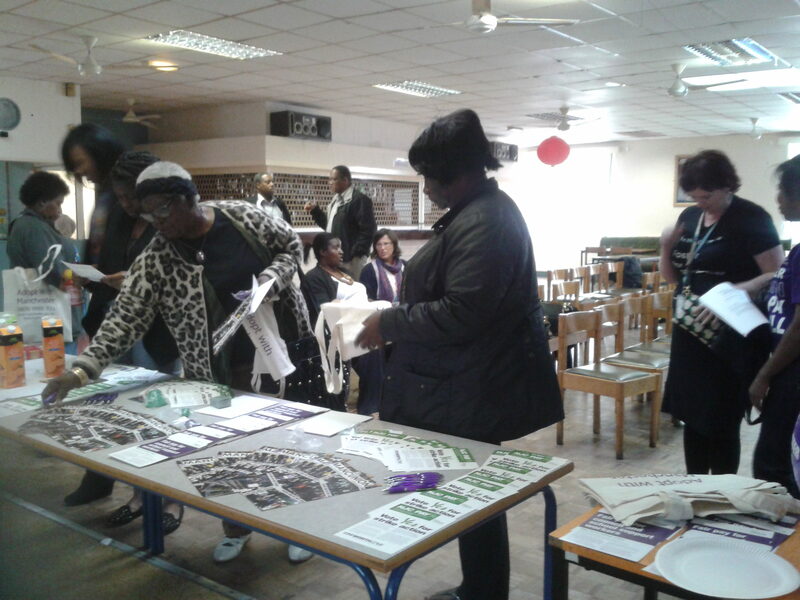 Held as part of Black History Month, the aim of the event was to raise the profile of UNISON in the community and by doing so recruit new members. 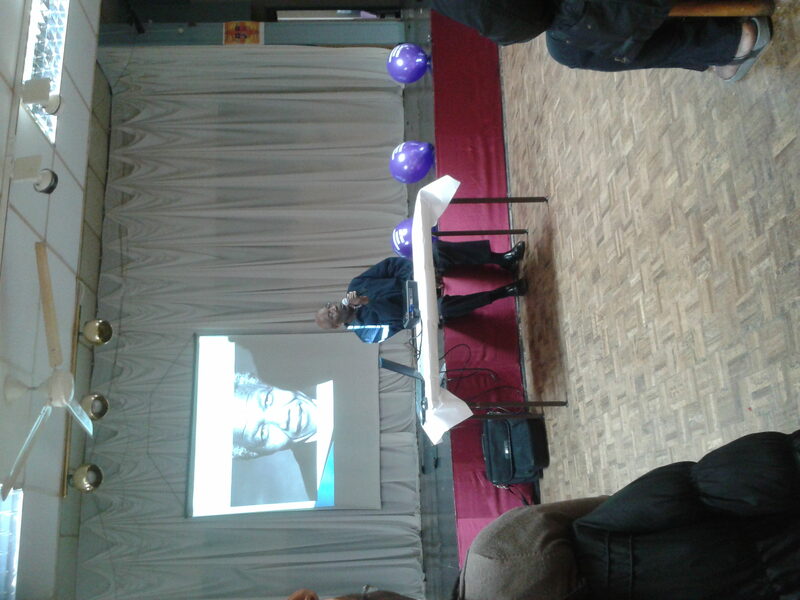 The theme of the event was ‘Recognising our Contribution’. 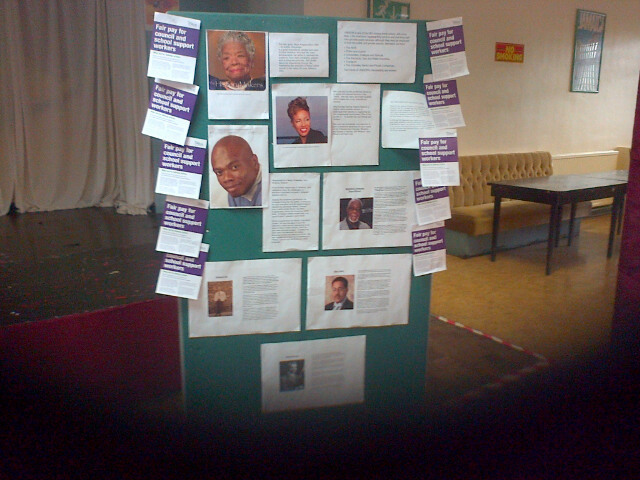 In planning the event members were asked to send in a synopsis of their ‘Black Achievers’. 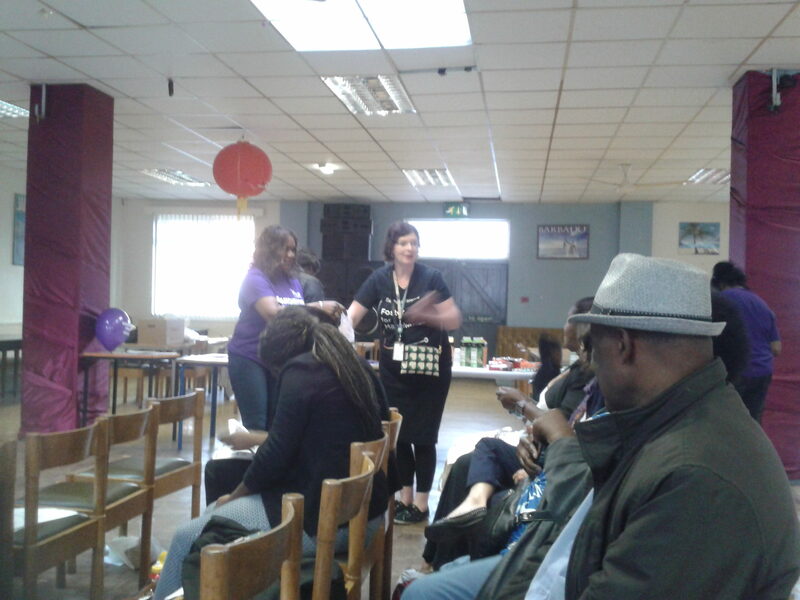 Joined by Damian Daley (Joint Group Chair) and Christine Amica, the afternoon began with a warm welcome and introductions from Sonia Stewart, Branch Equality Officer and Gloria Buckley giving a brief overview of the Group. 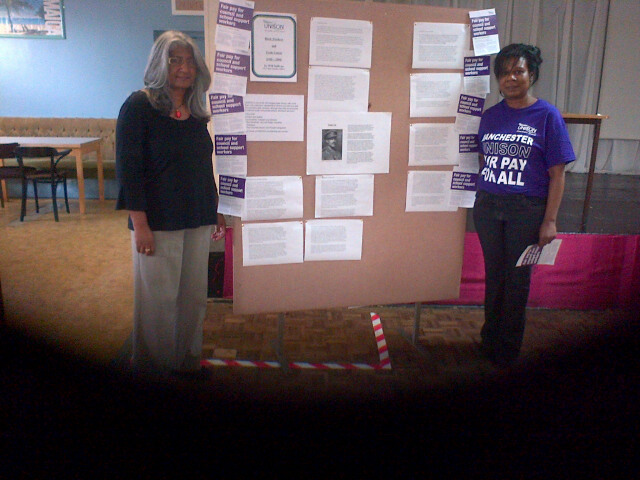 Gloria then ran through some of the information on the display boards. 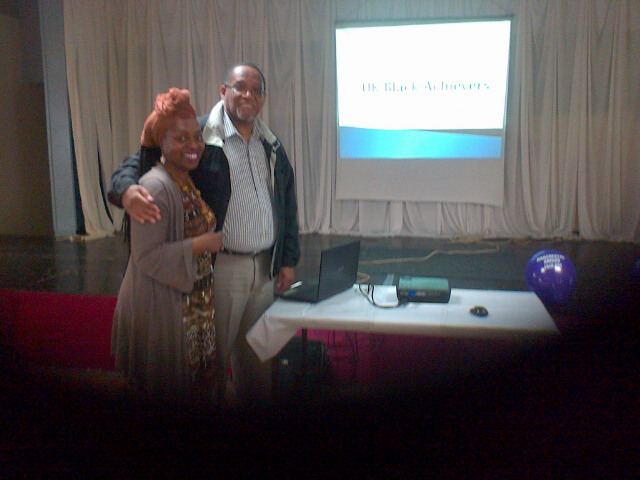 Topics and materials included the contribution of Black workers in the trade union and labour movement between the first and second World Wars, to more familiar influential Black people. 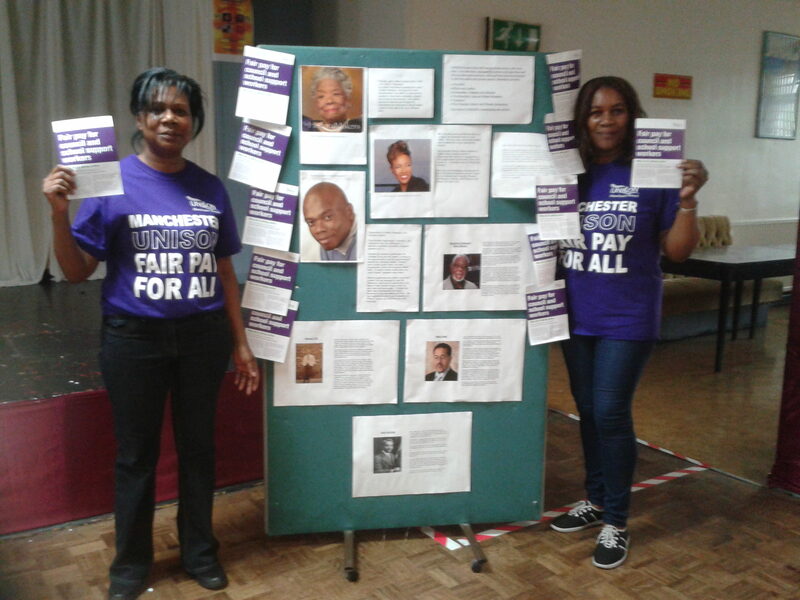 We also provided UNISON literature on Fair Pay and industrial action update around fair pay, in addition to recruitment packs and a selection of freebies. 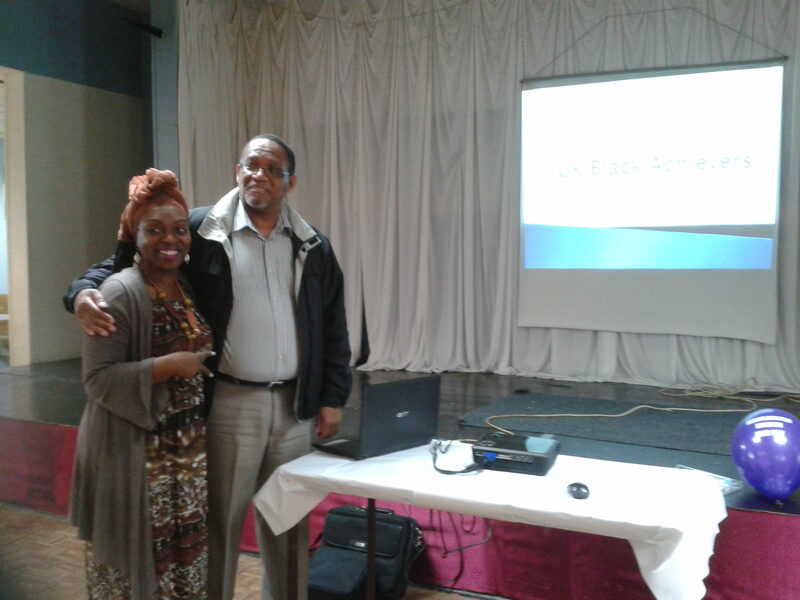 Linford Sweeney, historian, author and life coach, gave an outstanding and memorable presentation on historical Black achievers, from Ignatius Sancho instrumental to the abolition of the slave trade, to Nelson Mandela, former President of South Africa. 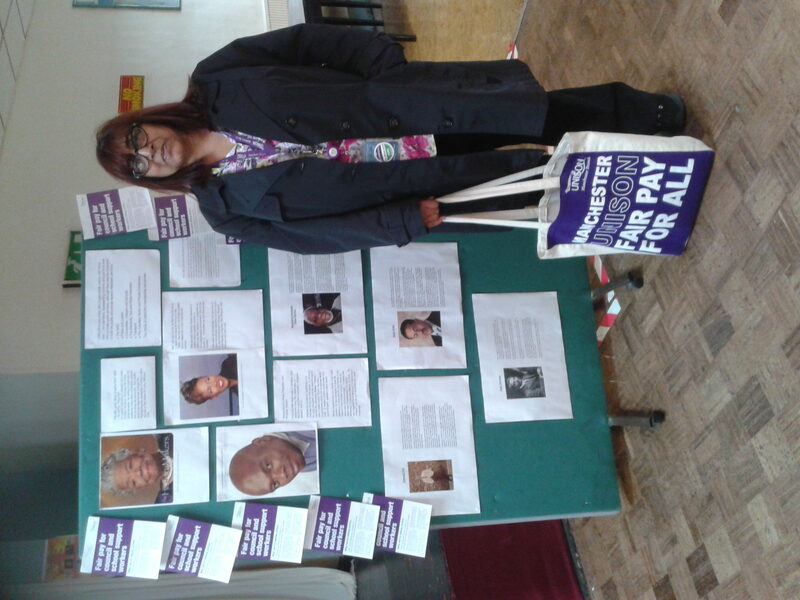 Rena Wood, Assistant Branch Secretary, gave an impassioned speech about the wider union and the contribution of Black people to race and class equality. 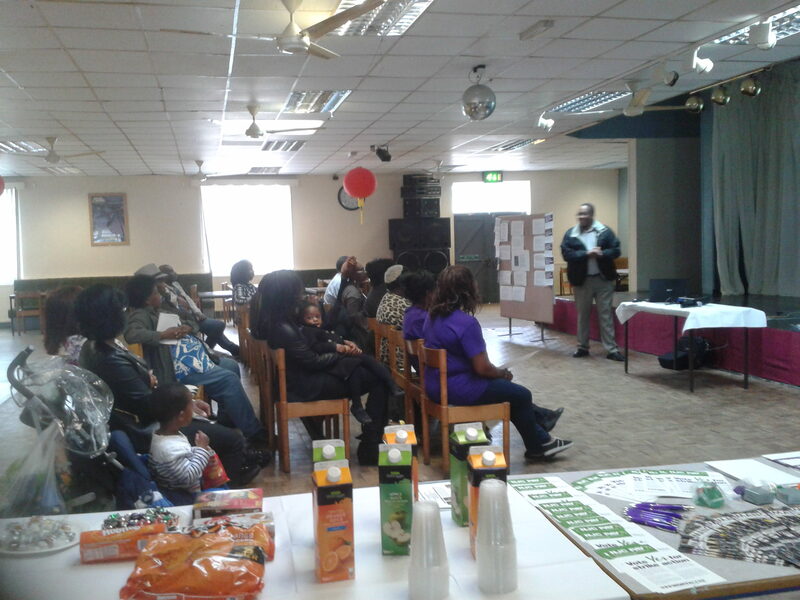 The Manchester Children and Families Adoption Team spoke about adoption and the need for more Black people to adopt Black children. 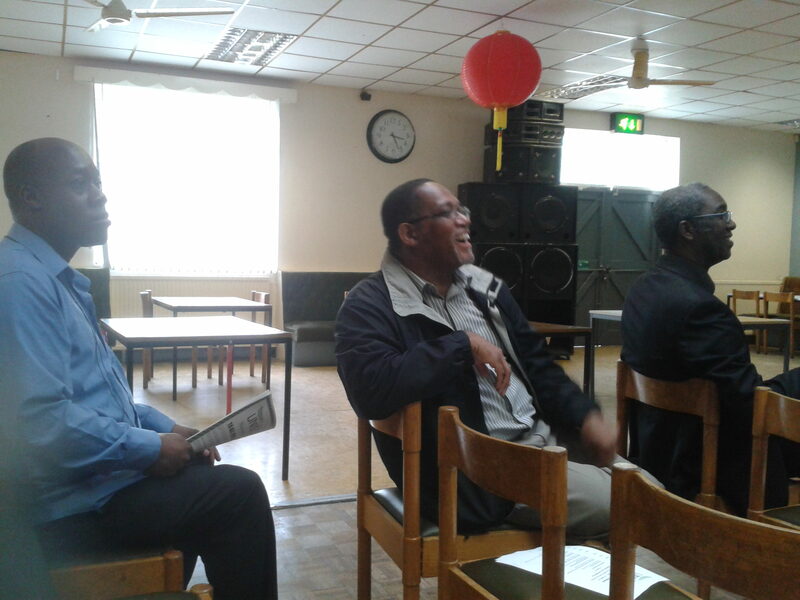 Mr Brady, a representative from the WISCC enlightened the audience on contributions made by the Club to the various communities, in addition to the struggles which were encountered in the early days of establishing a venue that was primarily, at that time, for members of the Caribbean community, as there was no-where else to meet. 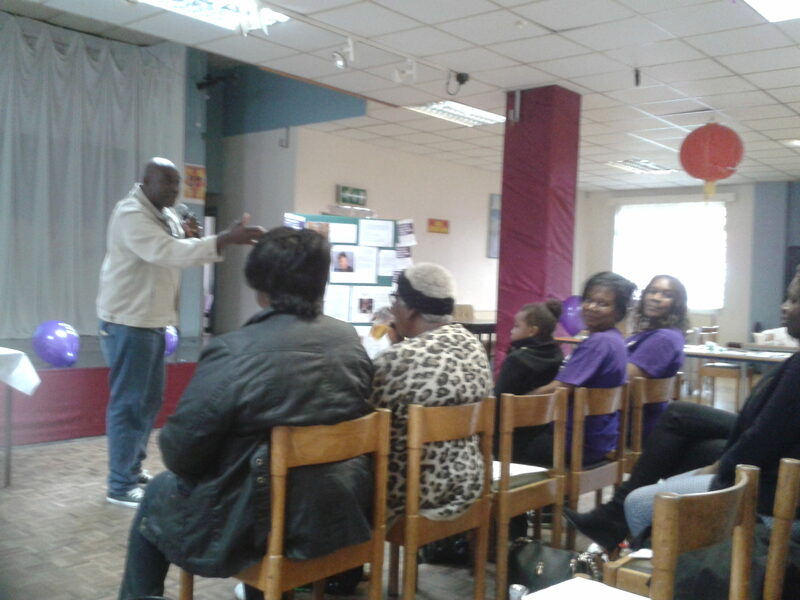 The afternoon was rounded off on a lighter note at 4pm by the local entertainer, Mr Zip, who has also performed on ‘Britain’s Got Talent’, and who had us all clapping and singing along with the chorus of his new ‘Mosquito’ song. 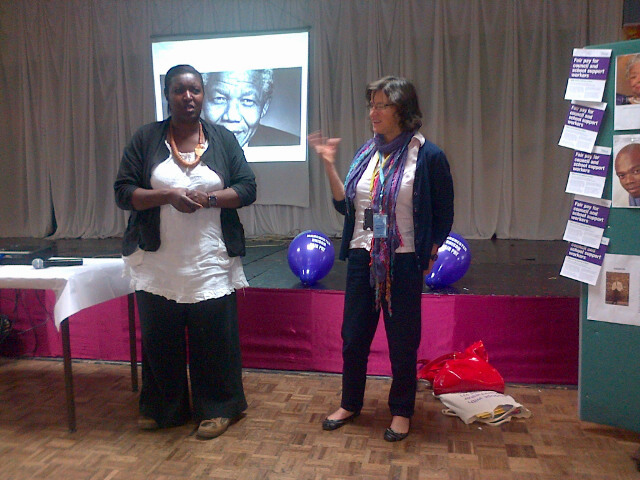 This was followed by a free raffle, with the first prize being a book by Denis Goldberg entitled ‘Denis Goldberg: Freedom Fighter & Humanist’. 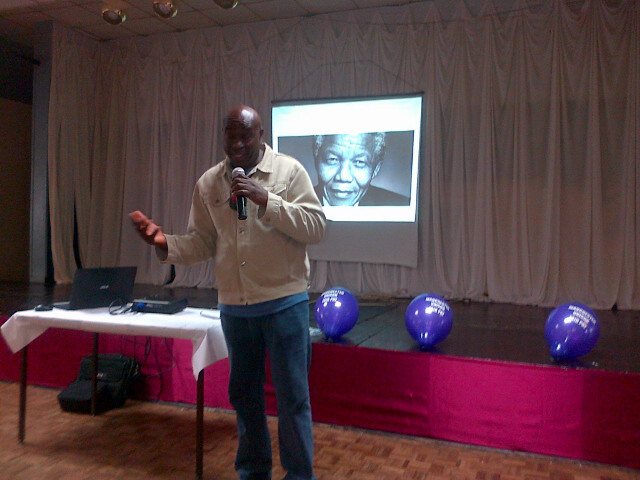 Denis was sentenced in 1964 to life imprisonment with Nelson Mandela and others. 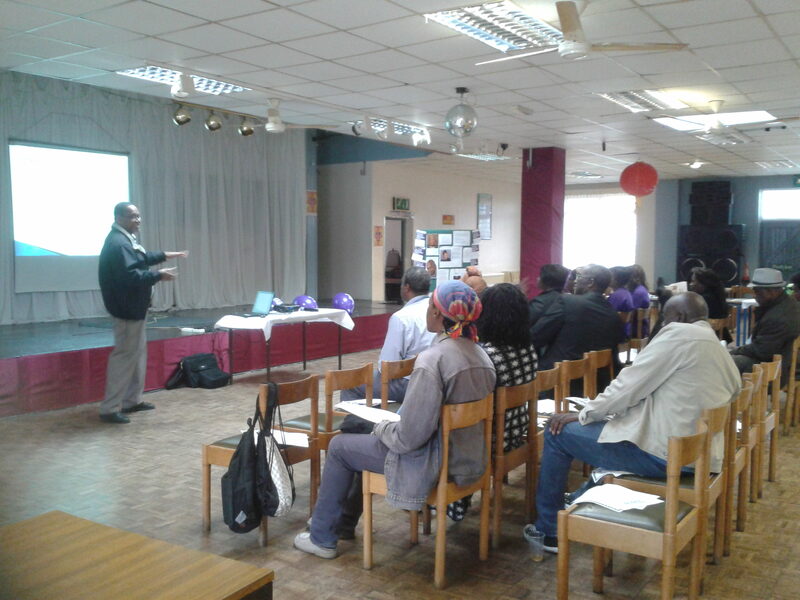 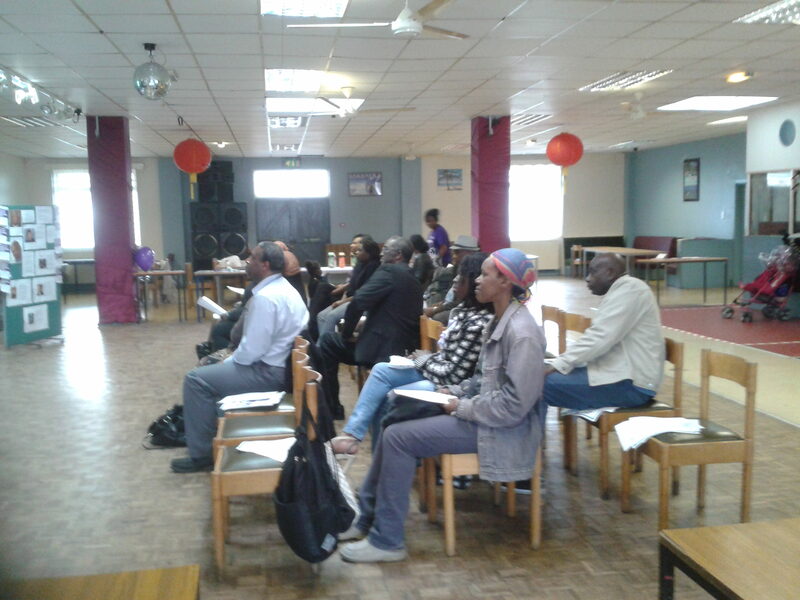 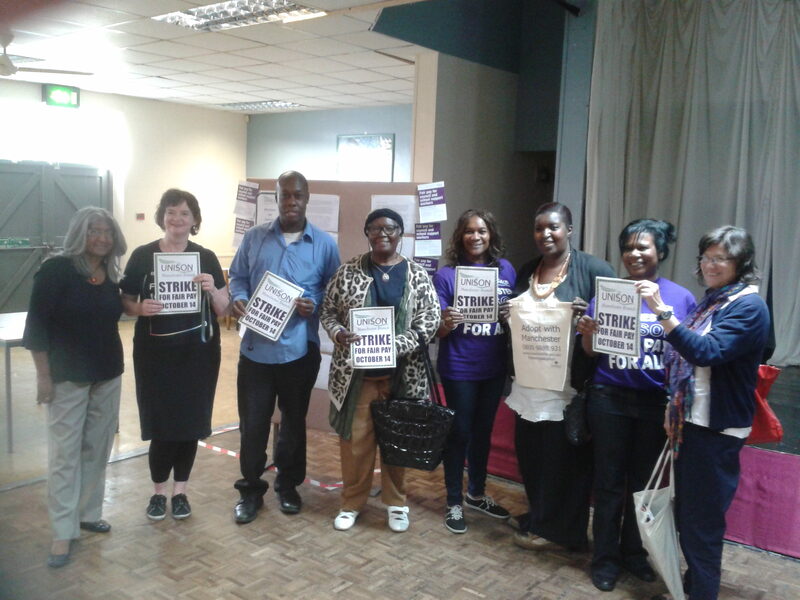 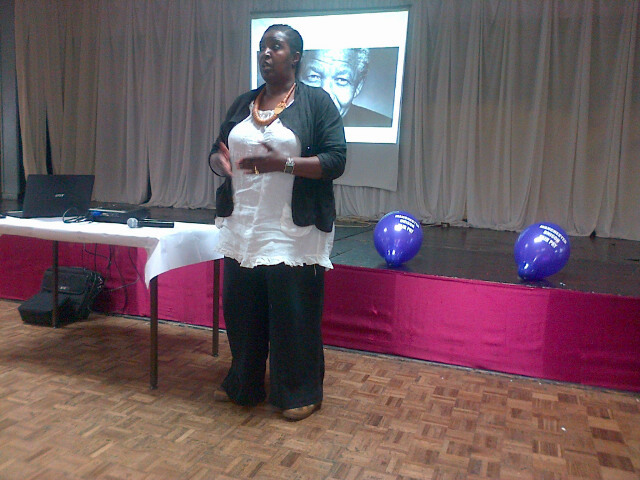 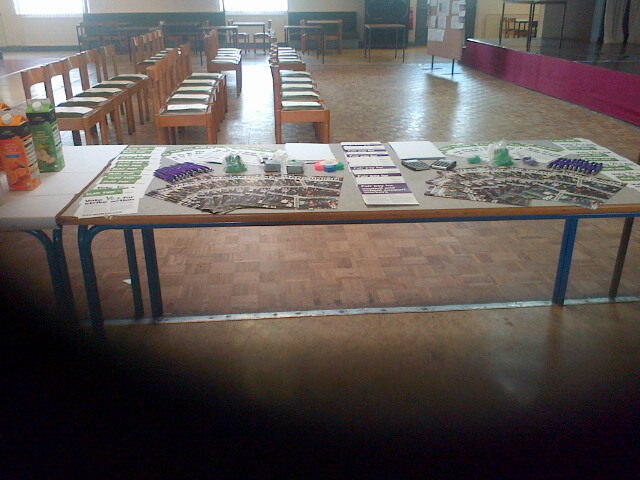 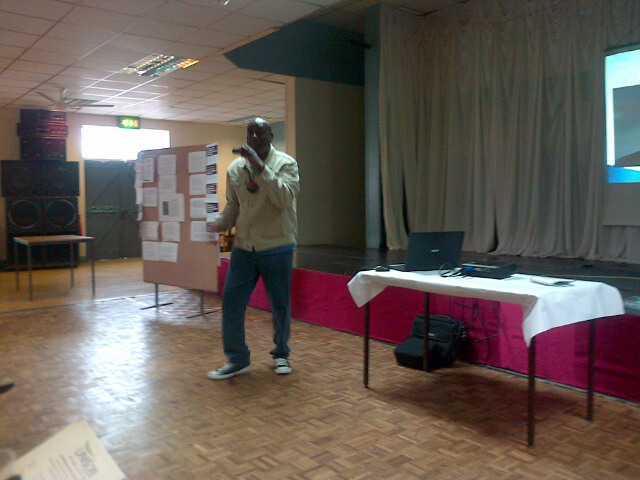 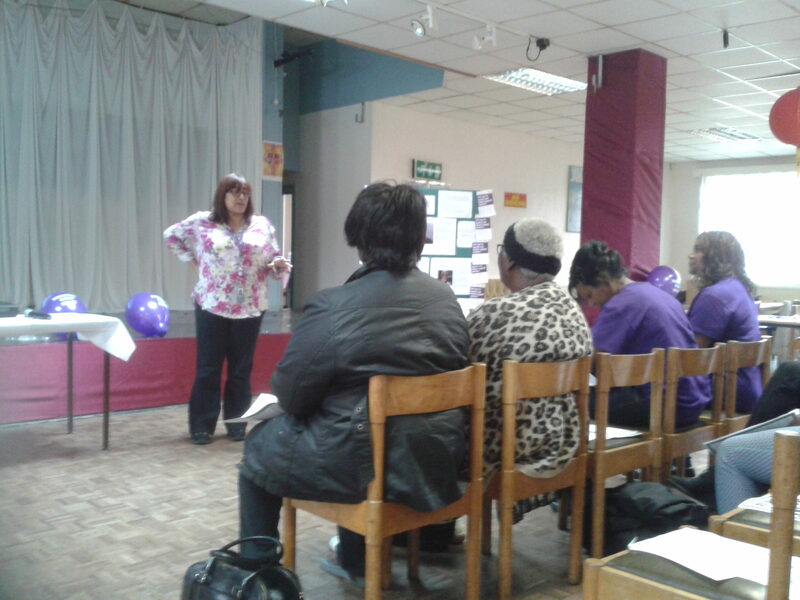 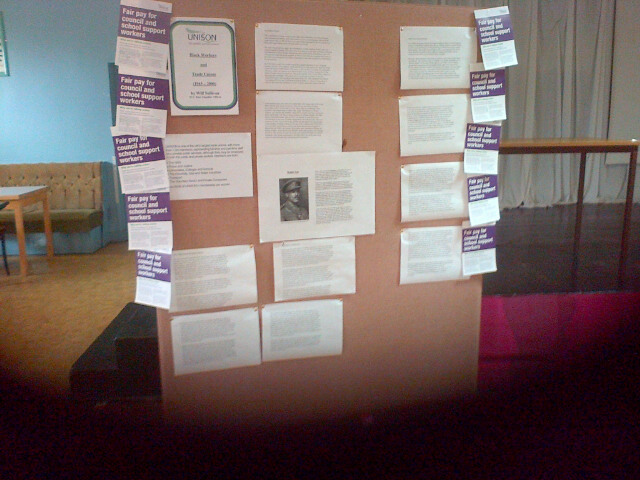 “..the event was informative and enjoyable and UNISON should be more visible in the community. 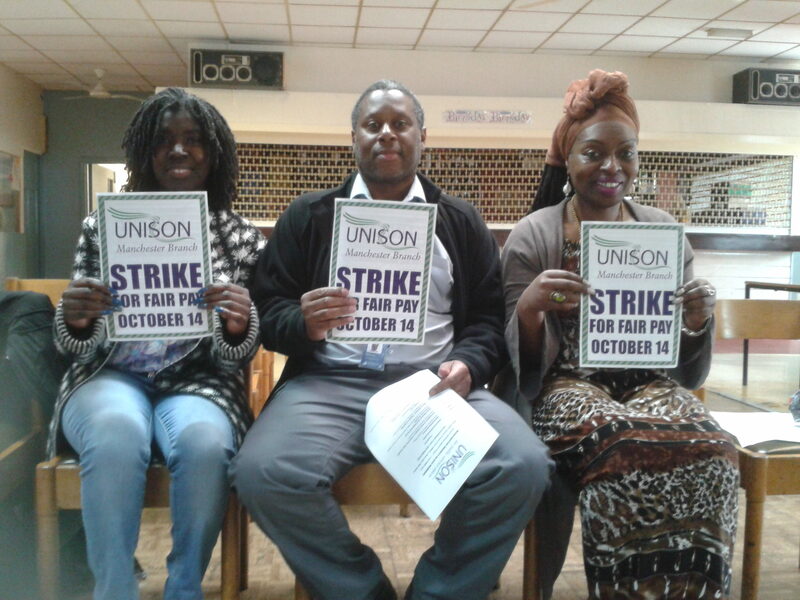 It was agreed this approach would go a long way to raise awareness of the work our Branch and the wider union does and encourage more people to join the union, which fits in with both the aims of UNISON Black Members SOG and the wider union’s recruitment drive. 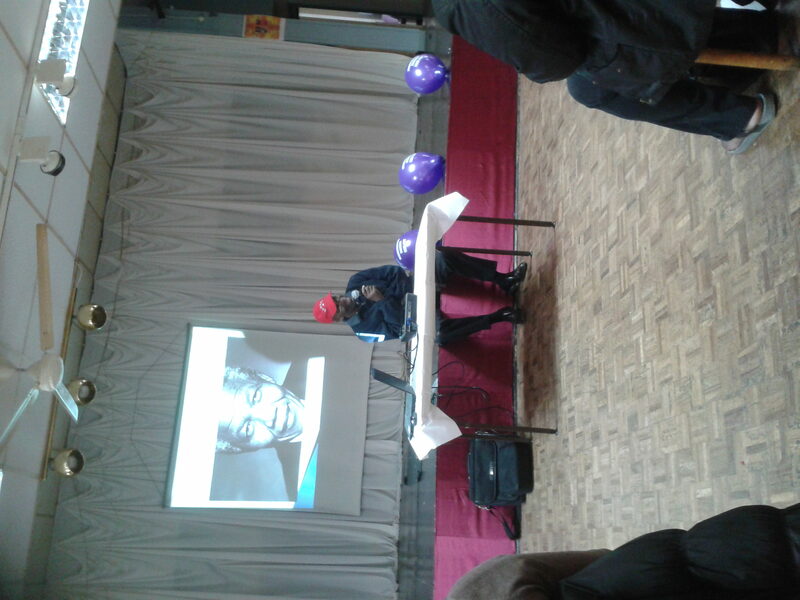 Please note that if the slideshow does not display correctly you can view the images individually by clicking the [Show as thumbnails] link below.